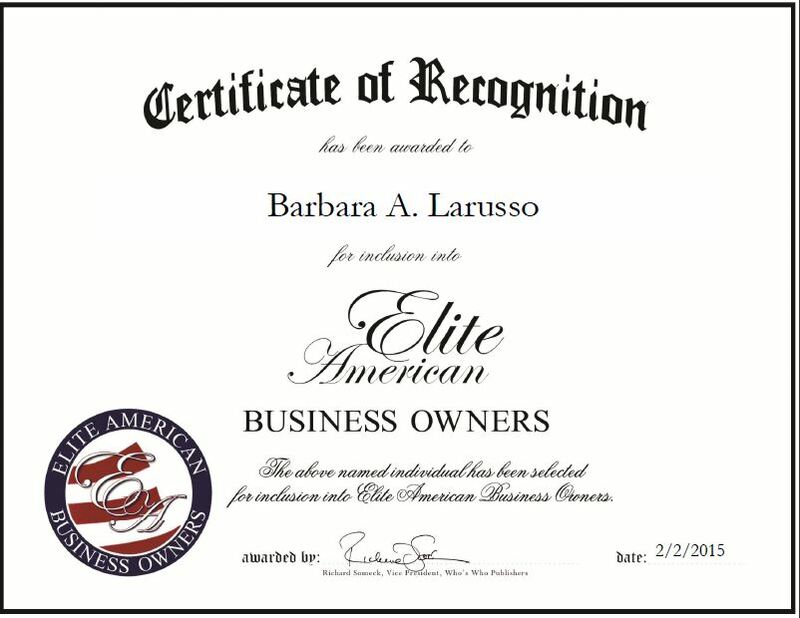 Barbara A. Larusso is an Artisan and Designer for BL Creations, a company offering beautifully handmade Swarovski crystal jewelry, and classes on quilting, sewing, and machine-sewing. Skilled in jewelry design, Ms. Larusso creates attractive and unique jewelry at the helm of her business. She also teaches others and instructs classes on hand-sewing, hand-quilting, and machine-sewing. She has seven years of experience teaching at Barnes & Noble bookstores and seven years teaching in public schools and at various places. She hand sews her jewelry with needles and special thread, using Swarovski crystals, sterling silver and 14k gold-filled components, and fine seed beads. She makes bracelets, earrings, necklaces, rings and pins. Ms. Larusso has a specialty line of meaningful bracelets and rings for salvation, autism, chakra and breast cancer. She is most noted for her butterfly bracelets and cocktail rings. Her work can be found in specialty stores, boutiques, home and craft shows, and also online.